As Zoolander‘s Mugatu would perhaps be the first to remind us, vinyl’s so hot right now. According to the Recording Industry Association of America, revenue from U.S. vinyl sales in 2018 hit $419 million, its highest level in more than 30 years. 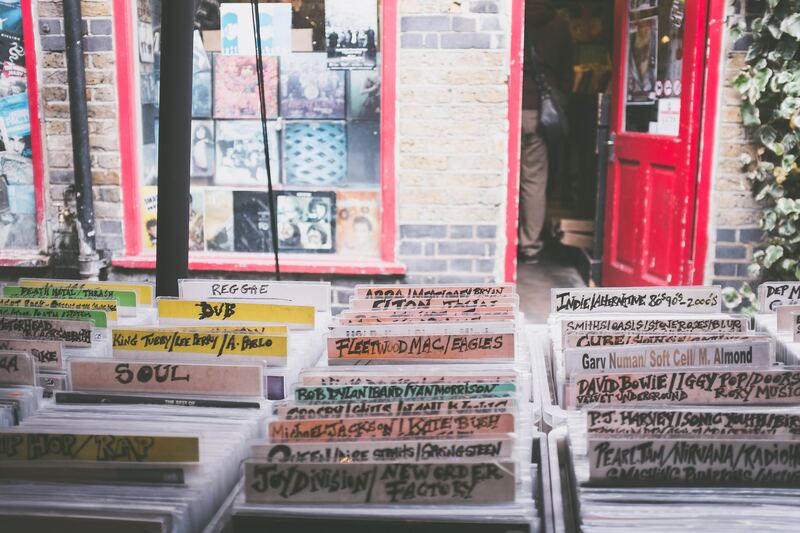 And a search for #vinyl on Instagram yields some 19 million results. In block-party style, Westover shop Blue Groove is hosting an all-day affair beginning at 9 a.m., with DJs and a tie-dye station. You’ll also find limited Dogfish Head pours in Record Store Day glasses at nearby Westover Market and Beer Garden. Sales will open at 9 a.m. at this Falls Church outlet. In past years, says co-owner David Schlank, customers have begun lining up the night before, so get there early for your best chance at snagging that copy of Yes by Yes or The Sign by Ace of Base (yes, that really is on the list). If you’re among the first 100 patrons to hit Crooked Beat (which left Adams Morgan nearly three years ago), you’ll be handed a complimentary grab bag of vintage 7″s, keychains, buttons and more—and two lucky folks will receive a $25 Crooked Beat gift certificate. (The first 75 can also salivate over a free custom tote bag.) The Crooked Beat label will also release an album from D.C. band Insurgence DC, of which two copies will include “golden tickets” for discounts at future store events. The Old Town Alexandria shop opens at 8 a.m. for its frequent customers and 9 a.m. for the general public. A parking-lot concert outside Mobius in Old Town Fairfax includes music from The Pietasters, The Loving Paupers and Ponytails & Cocktails—as well as hot dogs and a special Record Store Day brew from Bluejacket. Sales start at 9 a.m.
Wedged between a Trader Joe’s and a gaming store in an unassuming strip mall, this Fairfax reseller will open two hours early at 8 a.m., carrying many Record Store Day titles and featuring sales on additional items.